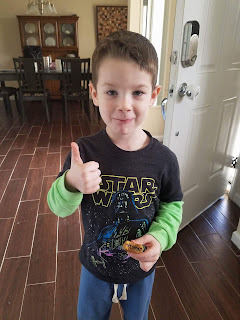 Down Side Up Mommy: Daily Goodie Box Review #2! Daily Goodie Box Review #2! 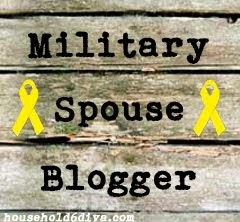 The personal opinions and reviews expressed on this blog (Down Side Up Mommy) belong solely to me. 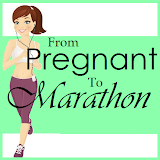 The reviews posted on this blog are my own thoughts, ideas, impressions and opinions of each product. All reviews are my honest opinion. I have been compensated by free product to write this review. 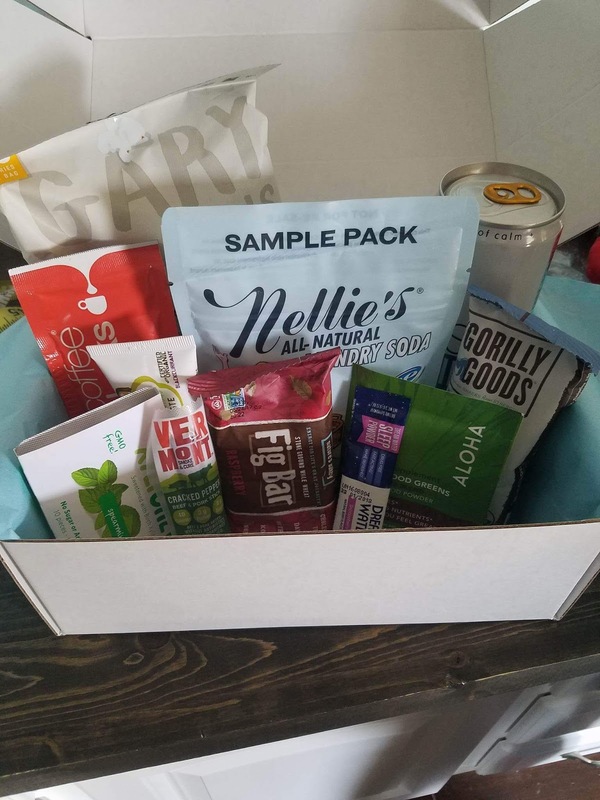 Recently I was approached with an opportunity to review a product called Daily Goodie Box. I received the box in the beginning of January and did a review on their box, but i enjoyed the box so much that i decided to double down and write a review for the February box as well! 1. 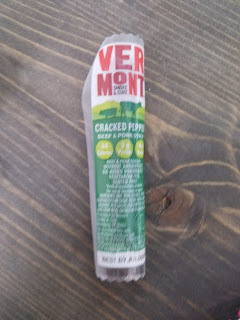 Cracked Pepper Beef and Pork Stick. My 4 year old checks the mail for me from time to time, and his favorite days are days when boxes like this are waiting for him. He was so excited for me to open this box to see what was in it. As soon as i opened it, he snatched this meat stick. I had to talk him into letting me get a quick pic of it before he opened it! I wasn't even able to try it, but he LOVED IT! He became my little tester of products for this box! Cheese and meat sticks are his favorite snack. This is MY FAVORITE PRODUCT out of the box! I DO NOT like these kinds of drinks, but this one was great! The taste didnt punch my in the face and scream at my taste bids. It was just the right amount of flavor. 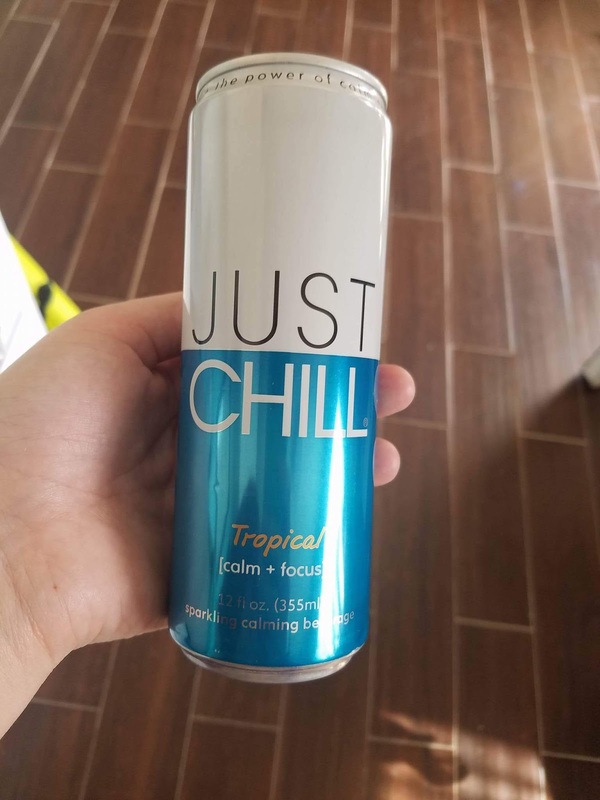 I really enjoyed this drink, and I've actually went to their website and purchased more. This is a product that I've actually shared with my friends and encouraged them to try it! You can order free sample of the flavors here! I was VERY pleasantly surprised with this gum. It tasted very good. I don't know how they did it. 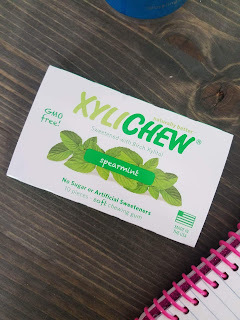 This gum has no Sugar or artificial sweeteners. I really expected this to taste bland, but i had to do a double take on the packaging when i tried it. I very much recommend this product! I will be sharing this product with all my gluten free.vegan friends! 4. Jack N' Jill - Natural Toothpaste. I love the idea of natural. I was really excited to see this in my Daily Goodie Box. My kids seemed to have loved it. I have never heard of this company before trying this product, however this looks like something I would like to buy more of in the future. 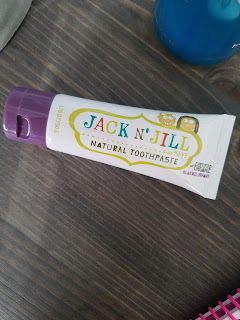 I really love the packaging, because it interests my kids and makes them feel as if this tooth paste is specially for them. This was another product that my son snatched up. I didn't even get a chance to try it! 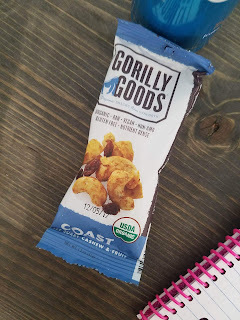 ✔ Contains 0 Trans Fats"
He gave it thumbs up for approval on taste! 6. 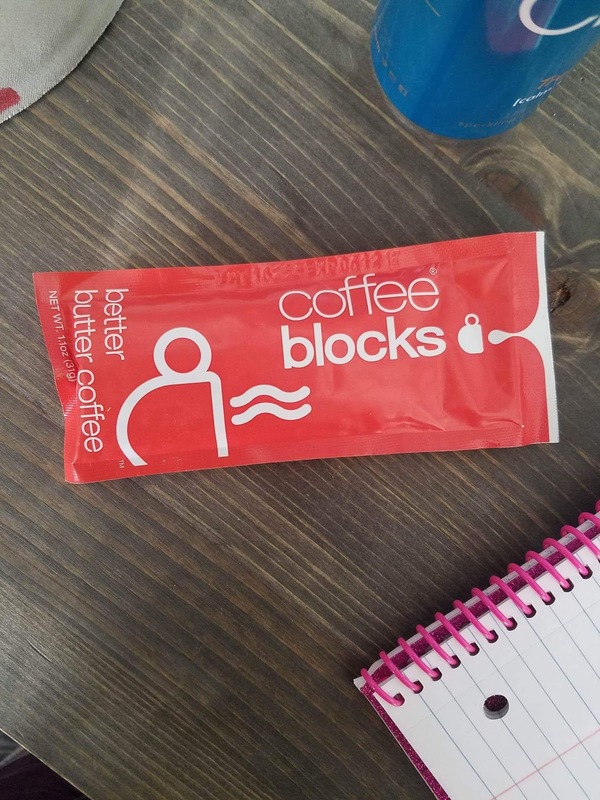 Coffee Blocks - Butter Coffee. When i first saw...or felt, rather, this product, i thought "What in the world is this!?". It feels like a packet of play dough! That being said, this is totally new and interesting! Here are the directions to give you a better idea of how it works. To make a Coffee Block, knead packet, squeeze the packet into a mug, add 12 - 16 oz of water (our favorite is 2-4 oz of room temp, and 10-12 oz of hot water), and mix. It's the fastest way to make butter coffee. Feel free to test with different water amounts on your first few Coffee Blocks to find your perfect mix. How neat!? Definitely worth a try! 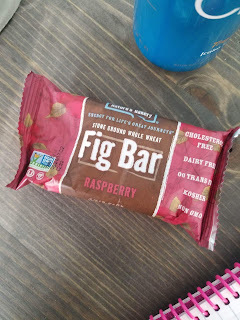 This is one of the products that I was really excited to see in the Daily Goodie Box. I have issues with perfumes and dyes in laundry soap. I always try to buy the dye and perfume free brands so that I don't have to deal with the migraines from the smells. The first thing i noticed was the 'he' symbol. I just had to replace my washer and dryer so I'm happy to know that this was made with those in mind! Also, gluten free! People don't typically thing about gluten outside of food, but its in everything! It's exciting to see companies that acknowledge gluten, and keep it out of their products. "The Laundry Soda that you know and love! 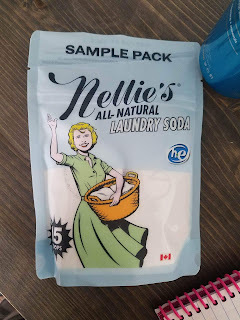 Nellie’s All-Natural Laundry Soda is available in an adorable 100 load tin. This product is perfect for every household. Its highly concentrated formula will leave your clothes soft and fresh, rinsing residue free. Only one tablespoon is needed for a regular size load of laundry! FREE FROM – SLS, SLES, Gluten, Phosphates, Fragrance and Chlorine." There was all kinds of little advertisements on it that boasted that it was a healthy popcorn! it's gluten-free, but not only is it gluten-free but it certified gluten-free which is a big deal for those with celiac disease because gluten can make a celiac very sick. A lot of companies write gluten-free on the box but sometimes don't even test their batches of food to see if they're actually gluten free. People that have celiac disease and eat these foods can get very sick. The fact that this popcorn is certified gluten-free shows to me that this is a stand-up company that takes this gluten free issue very seriously. It also advertises non-GMO verified. There are only 90 calories per bag, it's cholesterol free, it's a good source of fiber, no trans fat and the only ingredients are popcorn, coconut oil, sunflower oil, and sea salt. This food is made in the USA. 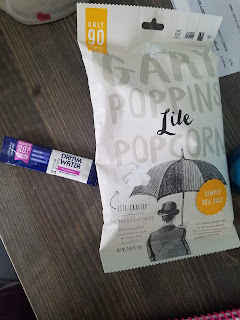 At the time of writing this it's 8 o'clock in the morning and I'm still on my first cup of coffee so to be honest I haven't even tasted this popcorn but I already am very impressed with this company because of how much they have been out of their way to make this a healthy food. 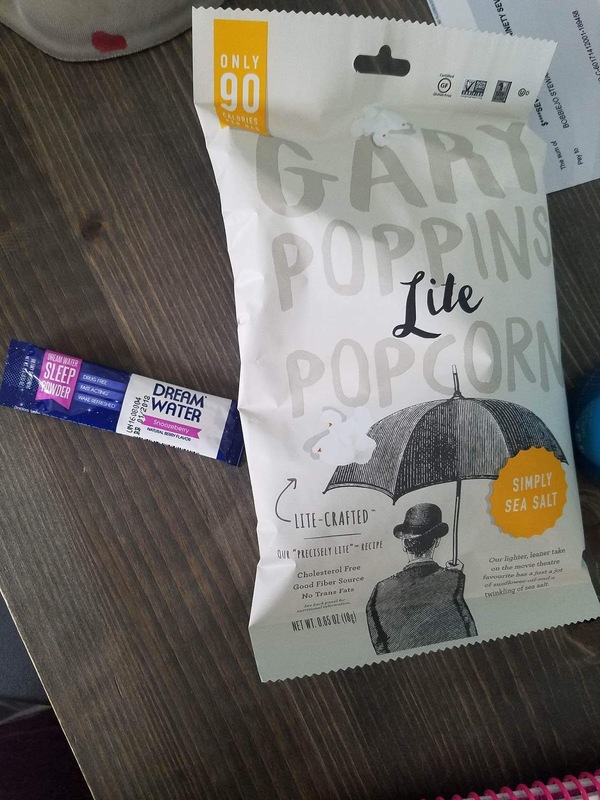 EDIT: I tried this popcorn and it is plain but good! great quick snack! My kids ate the bag before i could even get another handful! 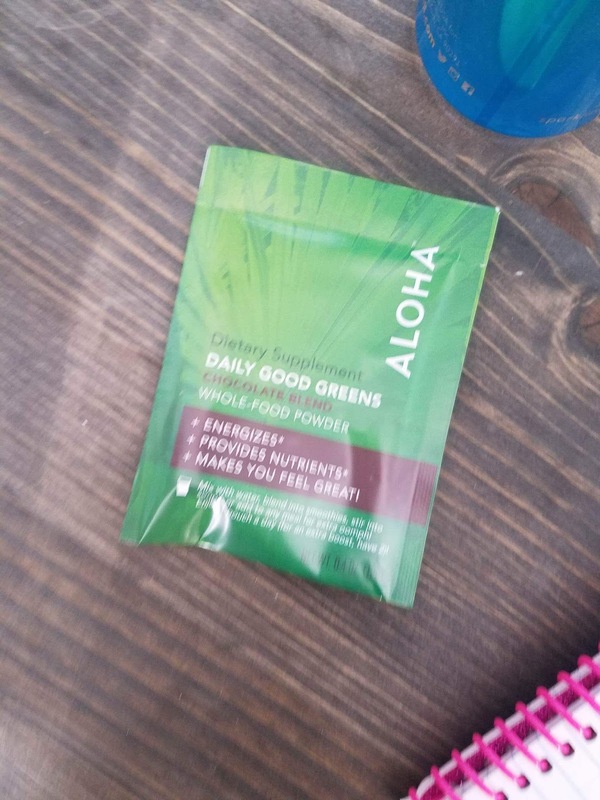 Here's what i wrote about the Snoozeberry flavored powder to add to bottled water. It is drug free, fast acting and you wake up refreshed according to the advertising on the package. I personally stay away from sleep aids because i have kids that wake in the middle of the night, but i am going to keep this for when they're at their grandparents for the weekend!! I think this product is very smart. Get your water before bed, it will have some flavor to it, and you get to take your sleep aid, all at the same time instead of having to take pills or drink yucky liquids! 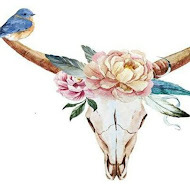 Check out my review for those items HERE. I really liked the idea of this product but would be more interested in trying this for a week straight before giving an opinion on the product itself. I loved the information i read on it on their website, but goodness this is an expensive product. I don't think it's one I will be keeping in the cabinets unfortunately. Made with clean, whole food ingredients, like moringa, spirulina and wild blueberries. Our patented infrared drying process maintains the essential nutrients. Mix into water, blend into smoothies, stir into soups or add to any meal for extra oomph! 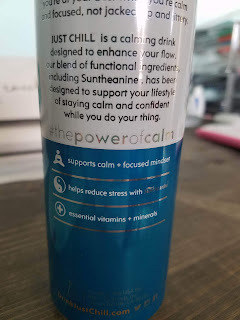 This is another product that I wasn't too crazy about. I do not care for Curry and that just happened to be the flavor I got. This is a snack that I would really love, so perhaps ill try the other flavors available. Overall this was a great box! i loved so many products in it! I am so excited to have these products and my family uses and loves them as well! Get yours at DailyGoodieBox.com!